Colaba has been the breeding ground for various sportsmen in the past, many of which have gone on to don the national colors. With the city’s iconic football stadium, Cooperage in its vicinity, the Back Garden’s ground in Colaba is a place where many of the city’s footballing dreams start from. Now host to the glamorous Colaba Super League, the glory days have returned for the venue. But as the league has progressed, many deficiencies have popped up which has been a worry for the CSL organizers. Lack of proper drinking water facility, absence of dressing rooms and changing rooms has been a problem especially for the female players who have lit up the league. But recently, the venue received a shot in the arm when former Mayor of the BMC, Mr. Mahadev Deole paid a visit to the ground to experience the football on show at the Colaba Super League. The CSL organizers took this opportunity to convey those deficiencies to the ex-mayor and he responded to their requests in a highly positive way. “I will do everything in my capacity to provide the necessary facilities on this ground. Having those facilities is extremely important for sportsmen and athletes who practice over here and I will do everything possible for to help them”. Mr. Deole felt he could easily connect and understand with the troubles of these sportsmen as he himself was a Kabaddi player in his younger days. “I was a sportsman too. I used to play kabaddi in my younger days and I can understand what these sportsmen are going through. Their struggles have motivated me to do something for them”. The CSL has been a breath of fresh air for Colaba football as it’s given its players a great platform to express themselves. But with this development, the CSL has gone a step ahead and taken the sports community in the locality along with it. Krishna Pawle, the Chairman of the CSL was delighted with Mr. Deole’s gesture and thanked him for his support. “I am honored and deeply moved to have the support of Mr. Deole. 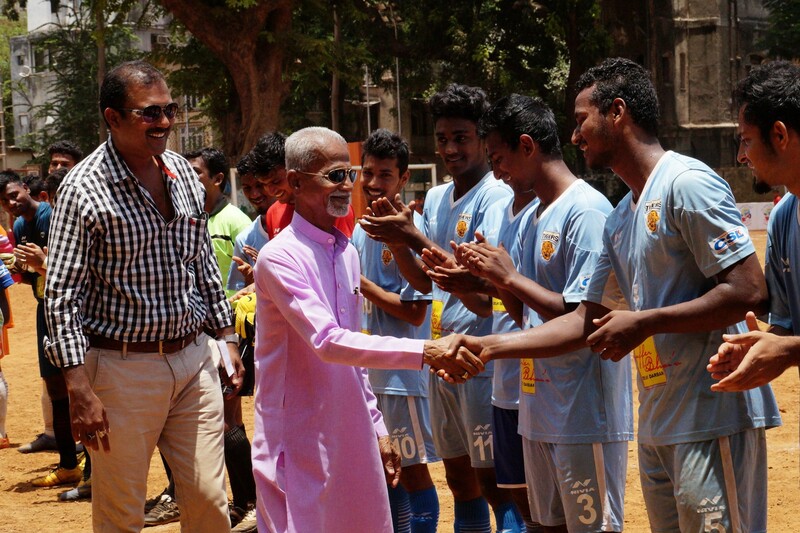 I thank him for the wonderful gesture and we will never forget his contribution for sports in Colaba”.